Senior Citizens Concern CLG is a non-profit company which originated in 1973 and founded St Louis Day Care Centre, Ramsgrange, Co. Wexford. We provide transport for our elderly clients to and from the Day Care Centre Monday to Friday. We also provide a Meals on Wheels service Monday to Friday for those who cannot come to the Centre and other essential services for our elderly clients. Our catchment area covers South West Wexford taking in the parishes of Ramsgrange, Duncannon, Horeswood, Templetown and Tintern. Last year we held this walk to help us replace our Mini Bus which we were able to do by the end of 2017 thanks to all your support. This year we want to continue this event to raise funds for the upkeep of our Day Care Centre for the elderly in our Community. 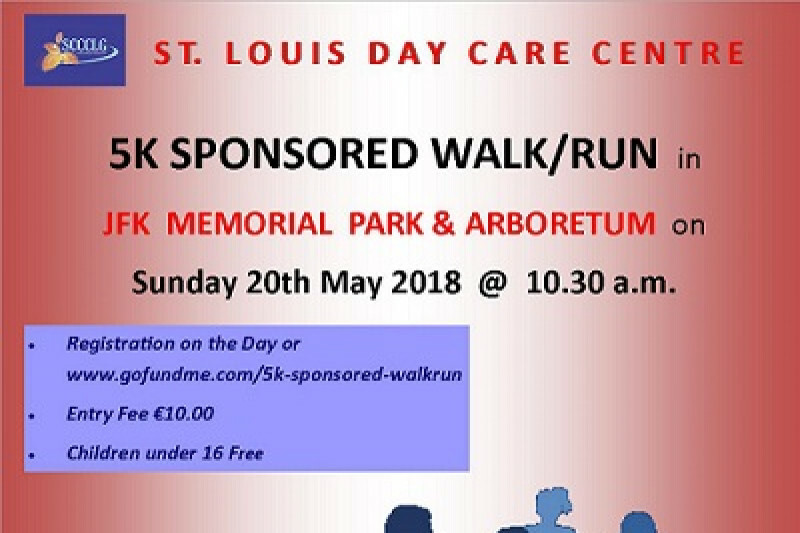 We are holding our 5km walk/run in JFK Memorial Park & Arboretum on Sunday 20th May 2018 at 10.30am. Registration cost is €10. Children under 16 are free. We hope you can come along on the day and support us. Please ensure you wear appropriate footwear on the day. We confirm that our Organisation complies with The Governance Code for the Community, Voluntary & Charitable Sector in Ireland.